Needham, Massachusetts and Novosibirsk, Russia: February 16, 2015 — LEDAS Ltd., developer of CAD component software and a provider of development services for the engineering software market, today announced new capabilities in its LEDAS Geometry Comparison (LGC) component. LGC now supports most formats from today’s MCAD systems, including all flagship and mid-range products of the top four CAD vendors. Because LGC makes it possible to compare models from any source, the new release allows users to work with CAD models without worrying about native formats. And so LGC allows users to open and then compare native parts and assemblies from CATIA, NX, Creo, SolidWorks, Inventor, and Solid Edge. As well, it fills out its coverage of 3D interoperability formats by adding JT and ACIS to those already supported, STEP, IGES, and Parasolid. To handle the new formats, LEDAS decided on licensing the translation component from Datakit, software that has a proven track record. A new LGC demo application is available on the LEDAS site www.ledas.com. It is based on client-server architecture, and so the comparison calculations are completed on the server. This proof-of-concept demo looks ahead to evaluating LGC’s capabilities in the cloud. While support of MCAD files in the demo application is restricted, potential customers can request the full-function version of LGC from info@ledas.com. Datakit specializes in CAD data exchange solutions and services. 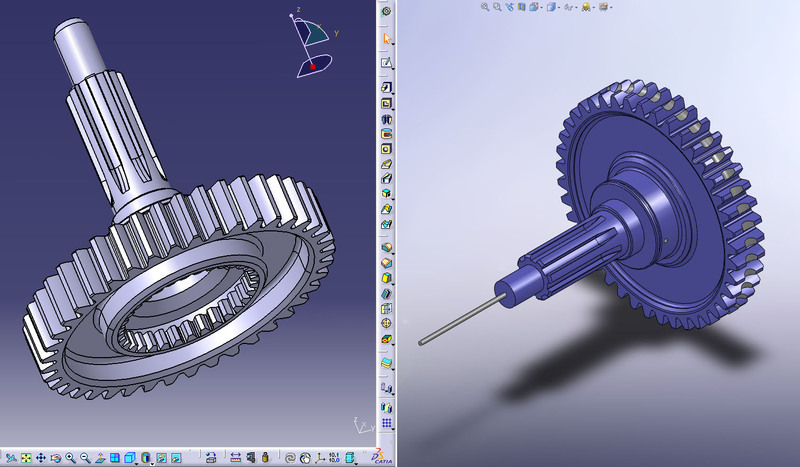 It offers standalone converters, plug-ins, and SDKs that analyze, heal, and export a large number of CAD formats. Datakit exposes a wide range of geometric and semantic data (such as assemblies, annotations, metadata, and PMI) through its broad range of products. See www.datakit.com for details.